In this post, Atko Remmel discusses the conference ‘Old religion and new spirituality: continuity and changes in the background of secularization’. held at the University of Tartu, Estonia (26th-29th May 2015). The event was organized by the research group of religious studies of the Centre of Excellence in Cultural Theory (Estonia) and the faculty of Theology of the University of Tartu. The conference also featured two panels on nonreligion and atheism. Tiina Mahlamäki from the University of Turku (Finland) presented a paper “Non-religiosity and gender – students’ attitudes and experiences”, which drew on her research conducted in 2009-2013 among the first-year students (n=173, 123 female and 50 male, aged 19-29) of Comparative Religion at the University of Turku. The questionnaire asked about self-identification, private and public rituals, belief in God and life after death, supernatural experiences, and notions of the sacred. The data from different surveys from all over the world shows that men (Altemeyer and Hunsberger 1997), younger generations and educated people tend to be less religious. Based on the data of her survey, Mahlamäki, too, found that men often tend to identify as atheists. Of 123 female answerers, approximately 34% were nonreligious: atheists and “don’t believe in God” constituted 18% of female answers, while 16% were agnostics. Of 50 male participants, 27 self-identified as nonreligious, meaning that more than a half of the male students were nonreligious. While 18% of male participants identified themselves as agnostics, self-identified atheists (10%) together with “don’t believe in God” constituted 24%. Many of the students could be identified as spiritual but not religious (SBNR). Some of the students also held the belief in a variant of an afterlife or some kind of deity or higher spirit. They also might practice some kind of rituals or attend religious events for some reason or another. Nevertheless, nonreligious of both sexes similarly report the experiences with ”secular sacred”, which for them derive from nature, art, human relationships, freedom and human rights. Similarly, they seek for values and morality from reading, discussions, science, philosophy, art and nature, but neither believing nor belonging are common amongst them. And, the other way round, some of those students who identified themselves as spiritual or religious, lacked these kinds of experiences, practices or beliefs. Mahlamäki concluded with two remarks: while most of the studies on non-religion are focusing on atheism and atheists, according to her data, it seems to be important to look more closely at agnosticism. Second, another under-studied area seems to be the varieties and forms of everyday non-religiousness, the lived non-religiosity. Thus, it would be important to examine, for instance, the ways in which non-religious parents raise their children in everyday life and in times of crisis, etc. (see, e.g. Zuckeman 2014). Mikko Sillfors from the University of Helsinki (Finland) presented a paper “Atheistic Spirituality”. Both terms are somewhat problematic since their use is very different. Sillfors defines atheism as a lack of belief in the existence of (theistic) god(s), which in his research material is often just one part of a naturalistic worldview. Spirituality, on the other hand, is a very fuzzy concept but still has four main characteristic dimensions: experiential and emotional, moral and social, gives meaning and purpose and has specific practices and teachings. So, what manifests when we put these two together? The result is atheistic spirituality, i.e. spirituality which is explicitly atheistic or naturalistic. It claims that moral and spiritually fulfilling life and transcendent experiences do not require belief in gods or supernatural. Indeed, as recent studies (Caldwell-Harris et al. 2011) show, 71% of atheists have had ”awe-experiences” and when compared to Christians or Buddhists, they are equally social, compassionate, emphatic, and happy. While contemporary spiritual atheism is a part of Western ”spiritual revolution”, it is nothing new in the history of human thinking. Sillfors drew the line from Jainism in 500 BCE through Buddhism, Epicureanism and up to the Spinozism and Religion of Humanity in the 19th century. Nowadays, atheistic spirituality is usually based on naturalism, science and reason, but it often embraces pantheism, Buddhism, and/or transcendental experiences, thus being actually quite eclectic. It focuses on the present moment in this world, and seeks to maximize happiness. Therefore it emphasizes personal experience, but also interconnectedness, communality and/or seeks toward social change. Spiritual atheism can be found from the agenda of different secular movements, including The Sunday Assembly, Center for Naturalism, World Pantheist Movement, Spiritual Naturalist Society, and the Center for Spiritual Atheism or Atheist Spirituality. Considering the eclecticism, one shouldn’t wonder that spiritual atheism is not uniform. Sillfors distinguished between two main currents within the spiritual atheism, based on their attitude toward religion. The current that is favorable for religion emphasizes the social sphere and is more practical. Another, more critical toward religion, emphasizes personal development and is usually more theoretical. However, both currents can contain pantheistic and/or oriental influences. Still, regardless of the critical attitude toward religion or lack of it, spiritual atheism can be a bridge-builder in religion and atheism debate, showing that theists and atheists may not so different after all. The papers on the contemporary state of nonreligiosity in the Czech Republic and Estonia gave a possibility of interesting comparison. In sociological surveys both countries (along with former Eastern Germany and Sweden) constantly compete for the title of the “most secular country”. Similarly, in both countries, bits and pieces of sociological data reflected in media have transformed into a common knowledge of being “the most atheist country in the world”. Zdeněk R. Nešpor from a Charles University (Prague, Czech Republic) presented a paper ‘Somewhat Spurious Atheism: Historical Roots of Contemporary Czech Irreligiosity’. He argued that historical reasons behind the current Czech irreligiosity had originated from politically motivated criticism of the Roman Catholic Church during the national awakening that started in the second half of the 19th century. After the successful re-Catholicisation in the early 17th century, most Czechs were Catholics, and even today, the Catholic Church is still the biggest denomination. However, during the national awakening, Czechs started to identify themselves with Hussitism and their Catholicism remained only in birth registers. While in the 19th century reluctance laid on the absence of alternatives, the next century brought ‘‘too many ways to salvation“, meaning the various uses of historical legitimization of religion(s), implicitly religious alternatives and also widespread privatised unchurched spiritualities that were not suppressed by the (liberal) interwar regime. Private or unchurched spiritualities were also ignored by the anti-Christian Communist regime, which concentrated on suppressing the churches. Overall weakness of established churches in the post-communist era can also be regarded as one of the reasons. As a result, today, according to the census in 2011, only 14% of the Czech population can be regarded as “churchly religious”, 7% declared certain unchurched religiosity, non-religionists amount up to 34%, whereas there is a very high the percentage of non-responses (45%). At the same time, while the majority of Czechs are proud of their ‘‘progressive national atheism“, looking at the spread of different New Age beliefs reported in the ISSP 2008 and other deeper sociological surveys, one starts to suspect if it is exactly atheism that characterizes Czechs: 45% believe in amulets, 40% in astrology, 49% in fortune tellers and 46% in magic healers, etc. Therefore, according to the ISSP 2008 data, Nešpor differentiated between three groups: religionists/spiritualists (82%), atheists with a supernatural belief (12%) and just a few convinced atheists with no supernatural beliefs (6%). Nešpor concluded that the essence of contemporary Czech irreligiosity relies on two concurrent processes: long term decline in church religiosity, especially concerning the established churches, and increase in ‘‘alternative“, usually privatised forms of religion/spirituality. Thus, atheism, for what Czechs are so proud of, is more like a mixture of both aspects and therefore really ‚‘‘somewhat spurious“. Atko Remmel’s (i.e. my own) paper “The impact of forced secularization on nonreligious sphere in Estonia” was focused on contemporary state and distinctive features of nonreligion in the northernmost of Baltic States. Similarly to Czech society, church criticism emerged in the context of national awakening in the late 19th century, but was directed toward Baltic German Lutheran “high church”, and developed later into a national myth critical of Christianity; therefore, there is no connection between religion and national identity. Nevertheless, in 1934, in the independent Estonian Republic, about 98% identified with churches, but when Estonia was occupied by Soviet forces in 1940 and the policy of “forced secularization” implemented for 50 years, by 1987 only 5% belonged to the churches. After the restoration of the independence in 1991, nonreligion has remained prevalent and normative (according to different surveys, between 67% and 81%). The visibility of religion in Estonia has been very low and talking of religion/personal beliefs is perceived as a taboo. Drawing on preliminary findings of my ongoing interview-based survey on nonreligion in Estonia, the most distinctive feature of this kind of society is “religious illiteracy“, meaning the complete lack of knowledge about religion and inability to recognize its appearances in everyday life. As a result, general attitudes toward religion could be described as “tolerant indifference“ (Ringvee 2012). Another peculiar feature is what I call “secularization of language”: the words concerning religion have mostly negative connotations and the words concerning religion change or lose their meanings or turn ambiguous since there are no realities any more that would correspond to them. For instance, “the church” has diminished to mean only the building, the expression “going to church” is used in mundane meaning for going to church (a building) for a concert, etc. (Remmel and Uibu 2015, forthcoming). In this context, nonreligious labels are just labels, not ‘engaged’ (Lee 2014) positions or actual identities and this fact together with booming New Age spirituality perfectly explains why the belief system of local “atheists” is very similar to Czech example described above. Nonreligiosity in normatively nonreligious context actualizes only when something goes out of the ordinary, e.g. religion invades public sphere. Altemeyer, B., & Hunsberger, B. (2005). Fundamentalism and authoritarianism. In R. F. Paloutzian & C. L. Park (Eds. ), Handbook of the psychology of religion and spirituality. New York: Guilford Press. Caldwell-Harris, C.L., Wilson, A., LoTempio, E., & Beit-Hallahmi, B. 2011. “Exploring the atheist personality: Well-being, awe, and magical thinking in atheists, Buddhists, and Christians.” Mental Health, Religion & Culture, 14: 659-672. Lee, L. 2014. “Secular or Nonreligious? Investigating and Interpreting Generic ‘not Religious’ Categories and Populations.” Religion 44 (3): 466–82. Remmel, A; Uibu, M. 2015. “Outside Conventional Forms: Religion and Non-Religion in Estonia”. Religion and Society in Central and Eastern Europe 8 (1): x-x (forthcoming). Ringvee, R. 2012. “Dialogue or Confrontation? New Religious Movements, Mainstream Religions and the State in Secular Estonia.” International Journal for the Study of New Religions 3 (1): 93–116. Zuckerman, P. 2014. Living the Secular Life: New Answers to Old Questions. New York: Penguin Press. Atko Remmel is a researcher of church history at the University of Tartu (Estonia), faculty of Theology. 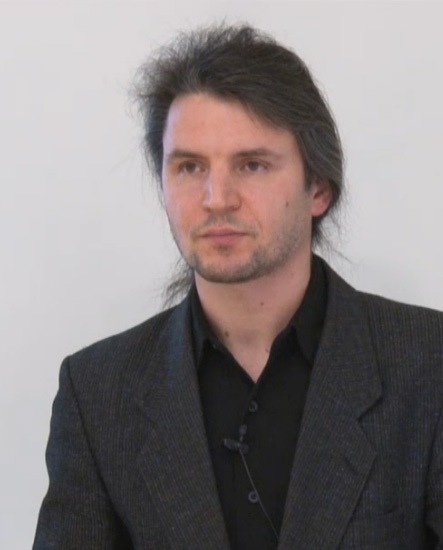 The topic of his PhD thesis (2011) was the development and activity of the institutions involved in antireligious policy and propaganda in Soviet Era Estonia. His research focuses on the history, sociology, and anthropology of nonreligion and atheism, especially in the association with ‘forced secularization’. This entry was posted in Event Report, NSRN Blog and tagged Atheism, Atko Remmel, Centre of Excellence in Cultural Theory, Event Report, secular spirituality, Tiina Mahlamaki, University of Tartu, Zdeněk R. Nešpor. Bookmark the permalink.